Your message has been sent to Albertson and Davidson LLP Irvine . Like authorSTREAM? Give us a +1! Keith A. Davidson is an experienced trial lawyer for Albertson & Davidson who focuses his practice on Trust, Will, Estate, and Probate litigation. For over a decade, Mr. Davidson has passionately sought to help his clients resolve their legal problems and fight hard for their rights in Court. 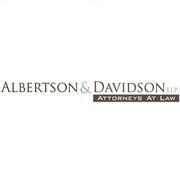 Albertson and Davidson LLP Irvine's Podcasts ..